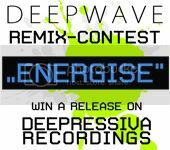 Deepwave is running a new remix contest for his new single, giving the chance to win a digital release on Deepressiva Recordings remixing the track “Energise“. Enter now! the legal property of DEEPRESSIVA RECORDINGS. All rights reserved by DEEPWAVE & DEEPRESSIVA RECORDINGS. how much longer do we have to wait for the results? I’ve just contacted Markus from Deepwave passing him your thoughts, stay tuned. seriously, this is an extreme lack of respect!!!!! I want to know where the remix went because it REALLY seems that this wasnt a remix contest! Seems more like a scheme to take free remixes from other producers!!!! !